There are more than 35,000 landmarks in New York City, and they all need maintenance. The work isn’t easy. Every piece of a restoration, from paint, wood and bricks to light bulbs and gutters, is subject to Landmarks Preservation Commission approval. Repairs have to faithfully restore or create an exact replica of the landmarked portion of a building. Restoring the white oak wood in the Veterans Room proved to be a challenge. 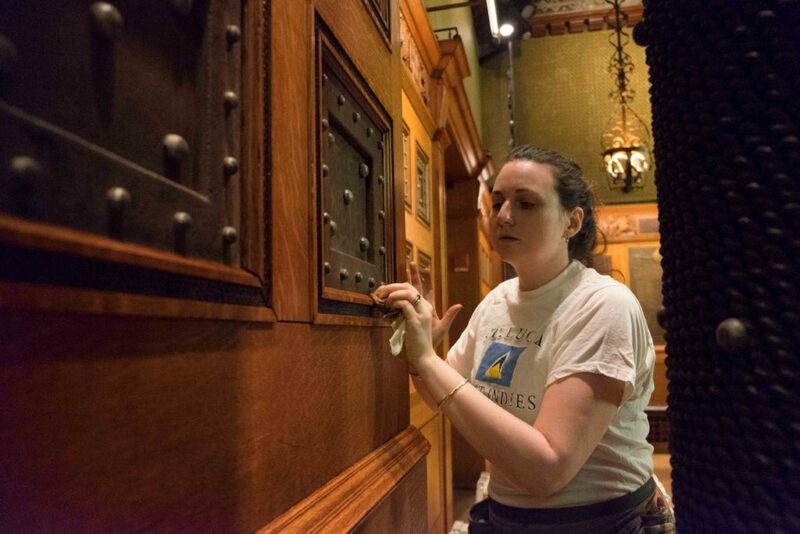 “You have to have a real craftsman to do that work,” said Eva Hatzaki, 50, marketing director for Skyline Restoration, which received a Lucy G. Moses Preservation Award for its work on the landmarked McIntyre Building on Broadway north of Union Square in Manhattan. Careful planning is key to a successful restoration, several experts said. A good design is essential to getting approval but can also be expensive and may need to be redone — and resubmitted — if the landmarks commission doesn’t approve the work. The Park Avenue Armory started design work for its recent restoration of the Veterans Room a year before submitting any documents to the landmarks commission. One of the more meticulous aspects of the Veterans Room restoration was cleaning the wood, American white oak installed in 1881. Entire sections were covered with so much accumulated dirt and grime that it matched the color of shoe polish. 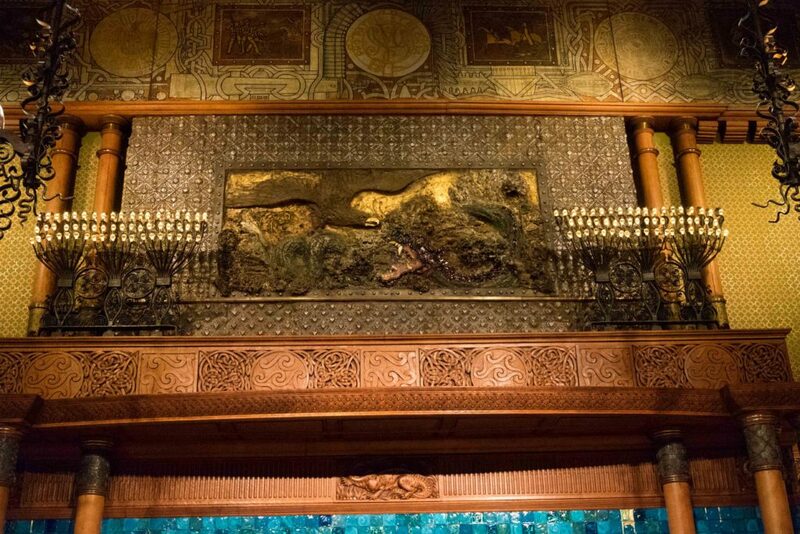 The Veterans Room is the most recently restored room in the Park Avenue Armory. The armory is a state-owned landmark and is listed on the National Register of Historic Places, so the final approval comes from the State Historic Preservation Office — dubbed “shipo” among preservationists — but the city’s landmarks commission weighs in as well. Reoch said the armory’s applications often go through three or four submissions before final approval, but the Veterans Room was relatively easy. “We took an approach that was pretty conservative,” Reoch said.